No compromise, full color signage ideal for any sporting facility, business or commercial property seeking a high impact, cost effective & versatile alternative to traditional signs & banners. 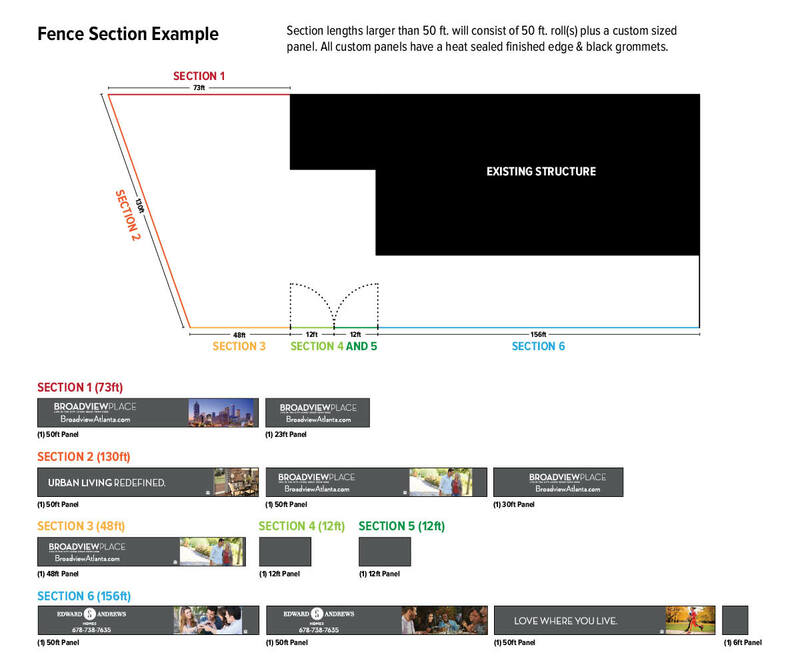 Reinforced Edges & Black Grommets Every 24"
Instructions for uploading your graphic(s) will be emailed immediately after your order is placed. Attachment ties make installing your fence screen panels simple and secure. Available in black only. Quantity automatically calculated based on length. Call or request a free online quote from a sales expert. 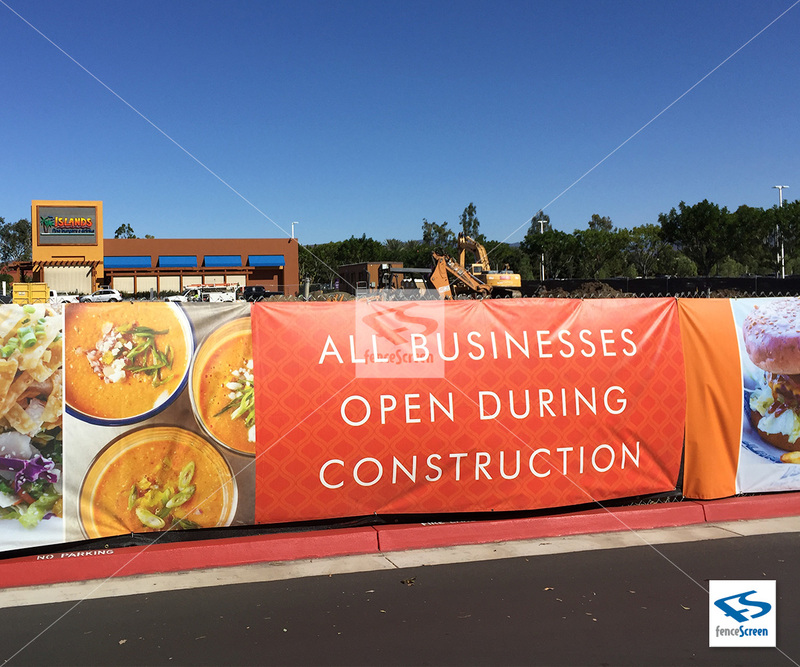 If you just need banners without screen, shop outdoor banners. 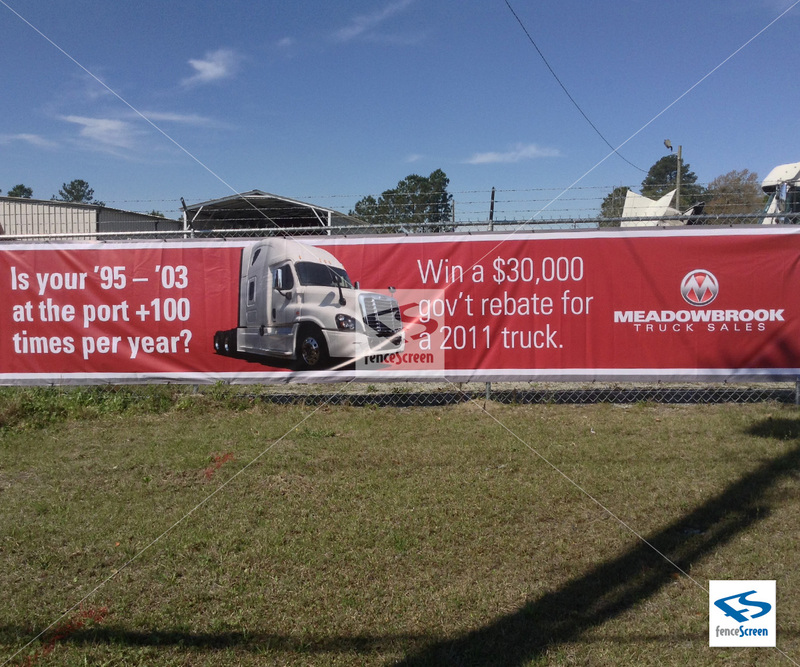 MAXFlex™ Vinyl soft signs and banners. Quality Signage. Built To Last. 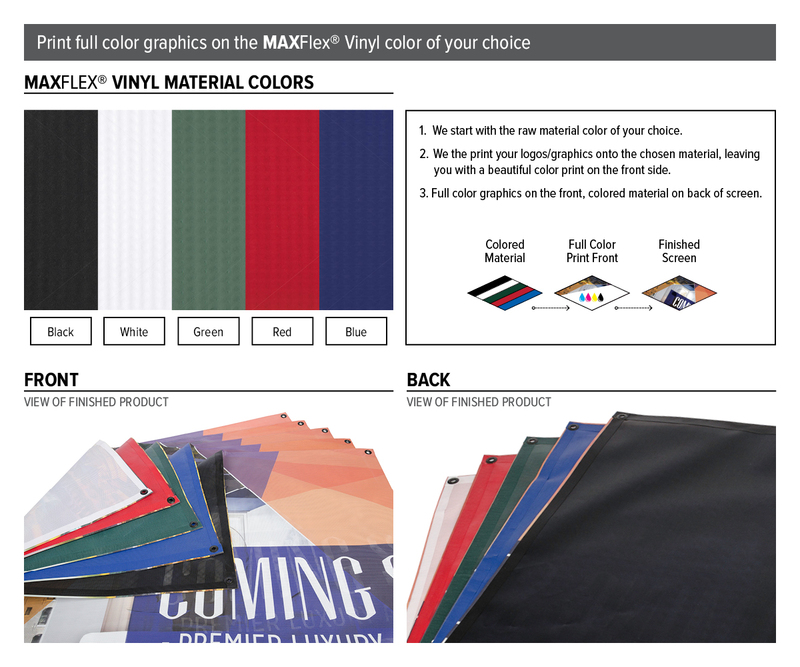 MAXFlex Vinyl® is a proprietary, no compromise vinyl fabric that makes graphics 2x more vibrant & will last for years. Our LightFast™ pigments used in our proprietary MAXFlex™ Vinyl will make the colors in any graphic printed on this material 2x more vibrant and true to life. 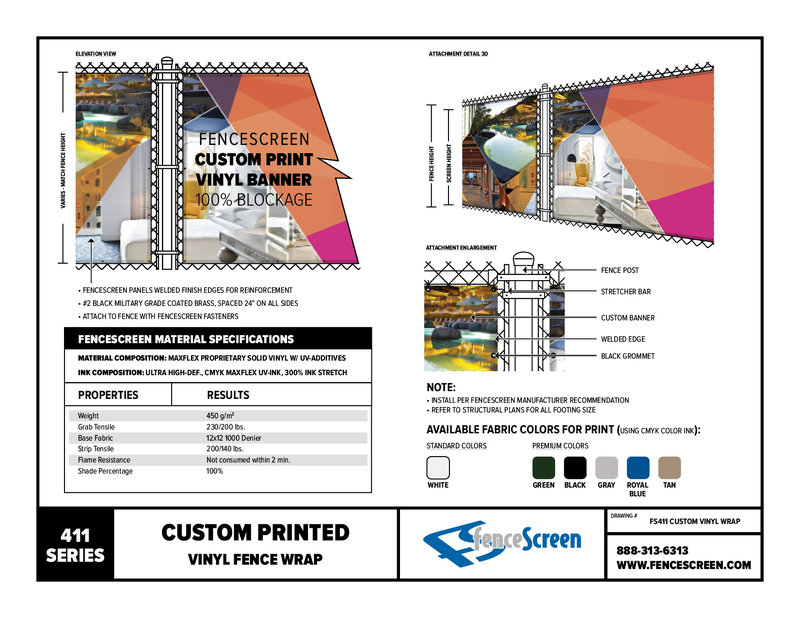 The 411 Series is the longest lasting printed screen in the industry. We use UV-Stabilized outdoor ink & bond the ink to the screen ensuring maximum outdoor life. 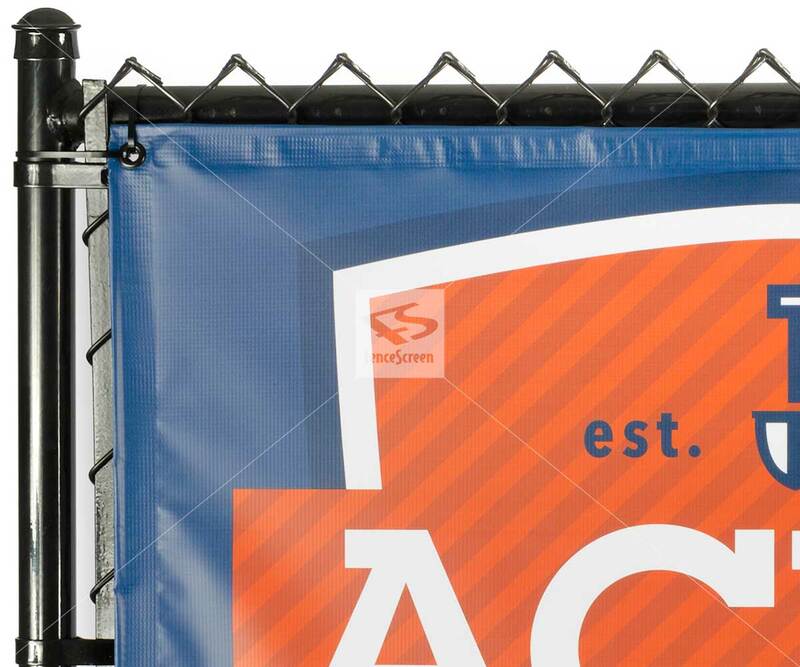 Perfect for outdoor commercial signage, our 411 series is made from our exclusive MAXFlex Vinyl® banner material. 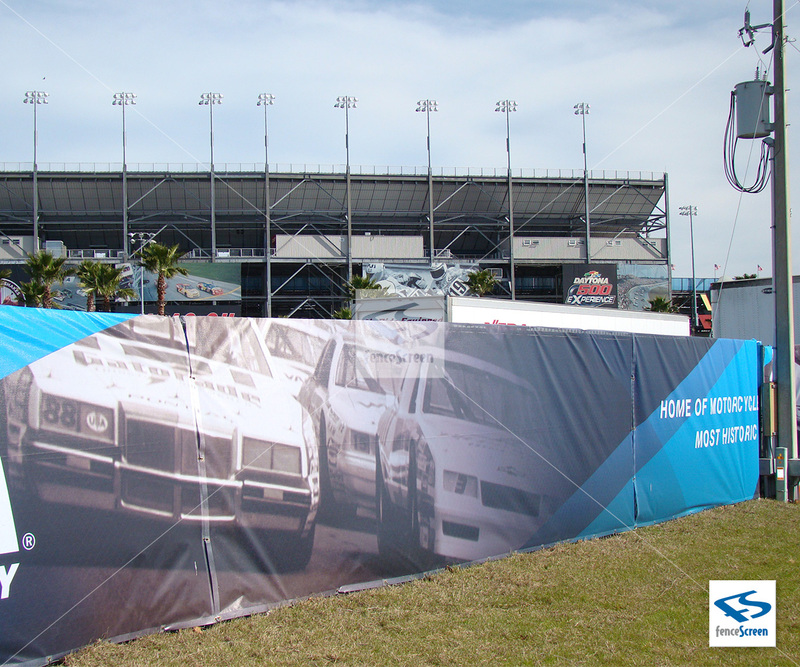 MAXFlex Vinyl® has taken quality and performance of graphics on fence screen to a higher level. 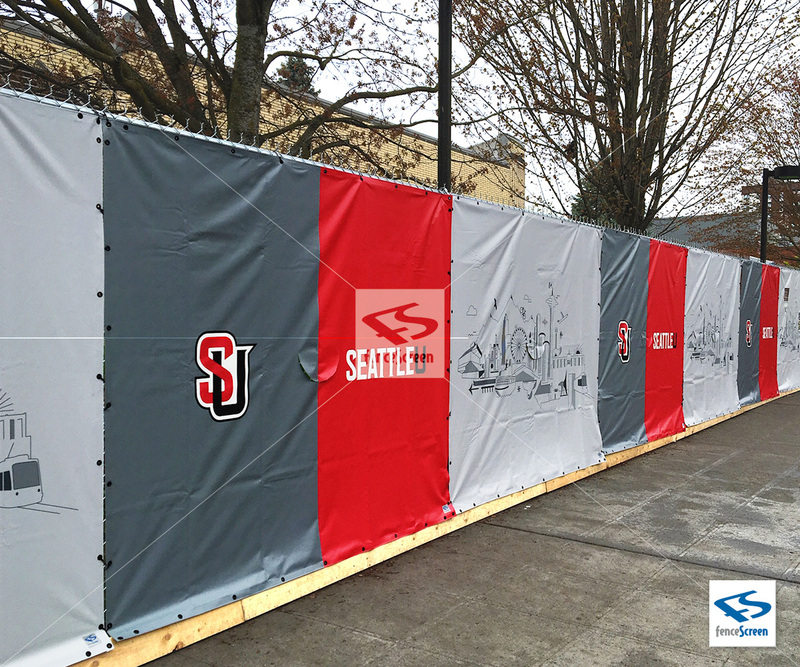 Adding signage/ graphics directly on colored fence screen was typically only used on shorter term projects due to the high costs of painting logos directly on the colored screens. 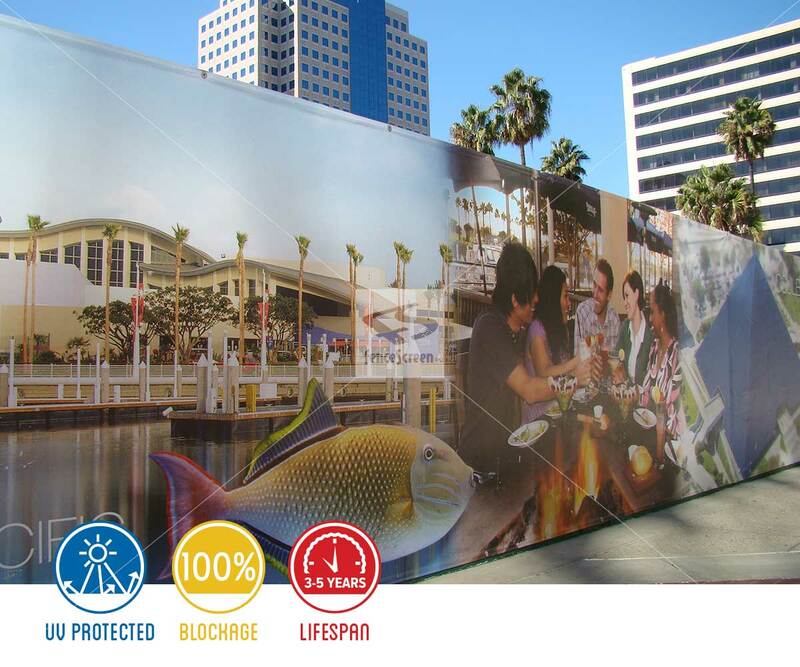 MaxFlex Vinyl® was designed as a long-term cost effective solution, offering full color printed graphics directly on colored fabric, tested to withstand rigorous outdoor environments ensuring your color graphics last for years and years outdoor in any climate. Reinforced Edges & Black Grommets Spaced Every 24-in. and on sides of the panel. With FenceScreen's exclusive MAXFlex™ Logo printing technology, the back of the fence windscreens will be the same color as the front (white, black, green, navy blue or red) this application is required for long term projects that demand long lasting results; typical applications such as baseball, softball, football fields, tennis, soccer, school campus, or any commercial or industrial projects. 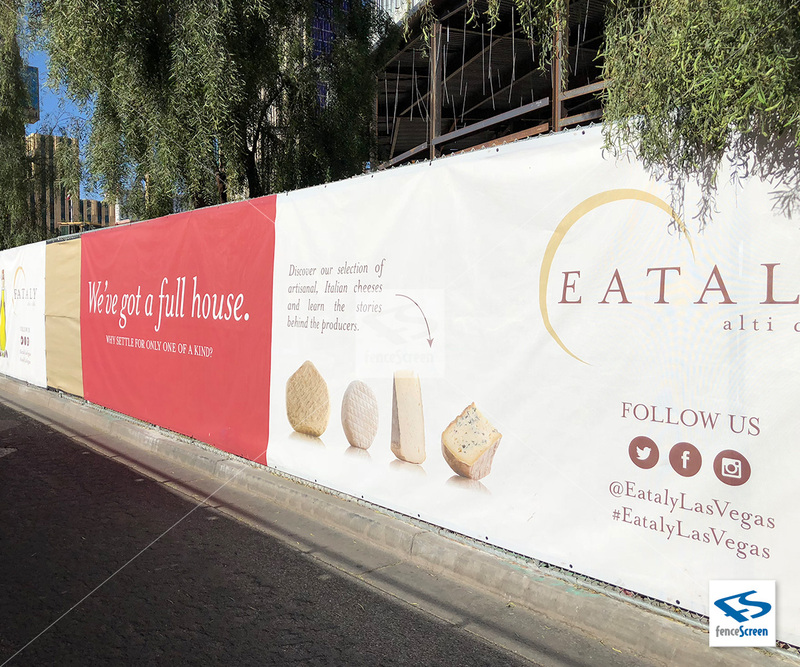 With our MAXFlex™ Ink technology our full color graphics are print bonded directly to your fence screen eliminating premature weathering chipping, flaking, or fading. Our triple layer coating process literally bonds the image to the solid vinyl material and completely masks the underlying fabric color. Then the fence screen is finished with reinforced edges and black grommets on all four sides of the screen. Don't Wait. Get Your high impact signage today!